Compliments! A clear view of ,,the mess in perspective''. An EU diplomat was quoted as saying, "...the problem is that the Netherlands is almost always obstructing". If only Britain would follow the Netherlands' example. The path to freedom in & from the EU is to say "No" to Brussels - continuously! 1. Polls are all over the place, most show the SP (socialists) as the biggest party. But differences are huge up to more than 20 % differences (while 2% should be the max). Not that an SP victory would mean they would form a cabinet and provide the PM. The party is in fact a semi pariah. 2. Look at peil.nl for the coalitionpossibilities. Something around the centre is by far the most likely. Left wing looks unlikely simply becuase they donot have a majority and realistically will not get one. You donot get into a clearly unstable coalition that is completely unpopular with your potential voters. A more realistic option than the one you present as second one would be a minority with support (although there are bad experiences with the prior one). CDA going with the left would likely make them lose even more of their natural electorate which is right from the middle and social rather conservative (basically rather similar to that of VVD and PVV). Although they make one strategic miss after another and subsequently make the habit of fighting over it in public without a clear outcome, so another mistake can not be excluded. 3. The issues as you say but also healthcare is a big one and certainly not no. 4, more like 1 or 2. 4. Rutte looks a complete nitwit imho but is apparently still very popular with voters . Had a couple of major misses about the rescue packages, simply the technical stuff looks way above his head. 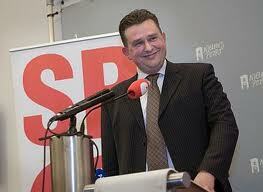 SP's Roemer basically does well because he resembles a nice friendly likeable guy. Technically on economics likely even poorer than Rutte. So as far as the quality of the main players goes it is simply horrible. 5. RE market is a disaster a lot of hot air still in the prices. Comm RE much worse even than houses. Measures proposed simply look awful all over the board. 6. The populist parties have caused that the main stream parties have had to adjust their programms on things like immigration and now Europe. That is probably the real longterm danger for the EU/Euro. That and the almost certain unstability of a cabinet (so elections are always just around the corner, or anyway could be so). 7. Most likely outcome imho a central (slightly right from a Dutch perspective) cabinet. That is highly unstable as the populist are tearing both on the left and on the right. Likely Holland simply will remain teaming up with Germany until a critical point is reached or there is a gamechanger (like a Finnish exit, German stop on further rescues, or the neeed for a referendum (likely a referendum would be about giving up national rights to the EU or paying much money down South (both look a certain no go)). 8. Like the EU Dutch politics simply needs a major overhaul (same or even more than the UK), should have had onea few decades ago. As it is now it is simply a bunch of very poor managers pointing the country in a direction a majority of the voters donot want to go. 9. But as said I donot see a big problem for the Euro coming out of it at this stage. 10. Good for the EU haters that the EU keeps making problems eg on the pensionfront (rightly so imho (for one time)), but it will not make them more popular. The other way around. A lot of the necessary cuts have not properly hit in btw. Usually when they do they will be even more unpopular with many. Most likely people will also link them with Euro-bail out. So imho very unlikely that that will become more popular. A lot of guarantees are simply Off BS financing a Greek haircut will mean at best a higher debt and more likely a negative on the budget (to be compensated somewhere else). A bit unclear Rutte tried to explain it one time somewhere but the explanation looks complete BS (the non-Balance Sheet one). Lot of movement the last days. -Rutte VVD has excluded getting in a left wing cabinet. -Therefor by far the most likely is a cabinet of VVD and 2 or 3 of the PvdA (Dutch Labour), Christian Democrats, D66 (left liberals). Most likely all 3, making a 4 party cabinet, as 3 likely will not have sufficient seats for a majority. Alternative one of the Christian Union or Greens joining iso one of the 3 earlier mentioned. -VVD is simply necessary there are around 90-100 seats (of the 150) that are 'cabinetable'. The rest are considered weirdos like the SP or Wilders's party. With close to 35 seats the VVD is simply needed to get a majority as there are simply without the VVD approx 60 (of 150) other cabinetable seats. Plus it is most likely the largest party (most likely to start the formation). Likely PvdA also needed. Moving close to 25 seats all remaining cabinetable (5 parties) would likely struggle to get a majority. Plus one is strongly religious which gives problems in other areas. Probably the others would have preferred another one, but likely simply needed to get a majority without at least 5 parties being required. So my bet: VVD (PM), PvdA, CDA, D66. Rutte therefor is likely to continue as PM. Not really a strong PM imho, but Dutch voters have clearly another opinion.